Lissie sure sounds like she's having a good time for someone who complains a lot. Lissie sure sounds like she's having a good time for someone who complains a lot. She moans about work, untrue lovers, and even environmentally incorrect coal mining practices. She does this with such passion and glee that one cannot help but get caught up in her righteous indignation. Lissie makes one want to pump fists in the air and sing along because she always seems to be giving it her all. That's what separates a true artist from a wannabee; someone who is not afraid to put his or her heart on the line and look stupid because the person is more interested in self-expression than being cool. Not every song on her new album works—just because something is art does not make it good art—but most of them do because she really outs herself out there. Her dignity comes not from holding back but from letting go. So while on "Shameless", Lissie coolly announces what she won't do to become famous, she makes it clear that her honest identity is much more essential than being a celebrity. 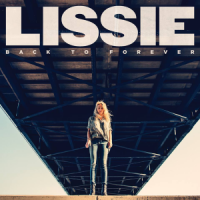 This is no idle boast, but whip smart commentary on the situation of young female pop rock stars and where Lissie sees herself fitting in—or not fitting in as the case may be. In an age of hype, she rhetorically asks, what would one be willing to do to succeed? More importantly, Lissie does this while rockin' out. Her voice slithers and bites, then turns downright anthemic so that a chorus of "So what?" comes out profound. Hey, most of us listeners are not like Lissie and not so much willing to sell out as much as buy in for much less than fame. Lissie's not so different. She knows what it means to be a wage slave. When she sings, "I Don't Want to Go to Work", she knows that life in some office is the place "Where all my dreams just go to dirt / and pretty soon there won't be none left". The song's narrator sounds joyful and pissed at the same time, as she's out boozing and having fun knowing what the morning brings. You can hear the glasses at the bar clink in the background. The credit for this belongs to producer by Garret "Jackknife" Lee, who captures all the nuances of Lissie's vocals—one can understand every word and hear every syllable—in addition to crafting rocking sonic landscapes that highlight the melodrama of her lyrics. The music is jam-packed with energy without ever feeling rushed. Even when songs begin with the simple sound of an acoustic guitar, such as vengeful "Cold Fish", you just know it's going to get loud and raucous before Lissie's done. She's always just a step ahead. Lissie refuses to do be predictable. She's willing to break "Habits", even good ones, rather than settle into a routine. On the song of that name she suggests that love will always turn into heartbreak so one should quit before it goes bad. However, the rhythmic instrumental insistence that accompanies suggests how hard habits are to change. "Love and leaving are as natural as breathing," as Lissie sings later on the album. Maybe. I do not believe this, but when Lissie soulfully croons one cannot help but be momentarily convinced that this is what life and love are about. She may be discontented, but we are all having fun going along for the ride.